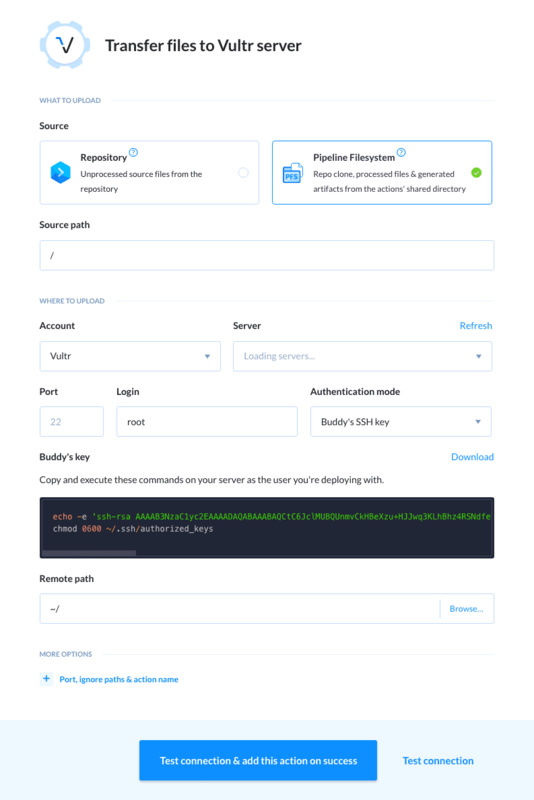 Following your request, yet another IaaS joins the already extensive stack of Buddy: Vultr. Since 2014 the Australian service has been steadily gaining recognition as a reliable, high performance cloud. 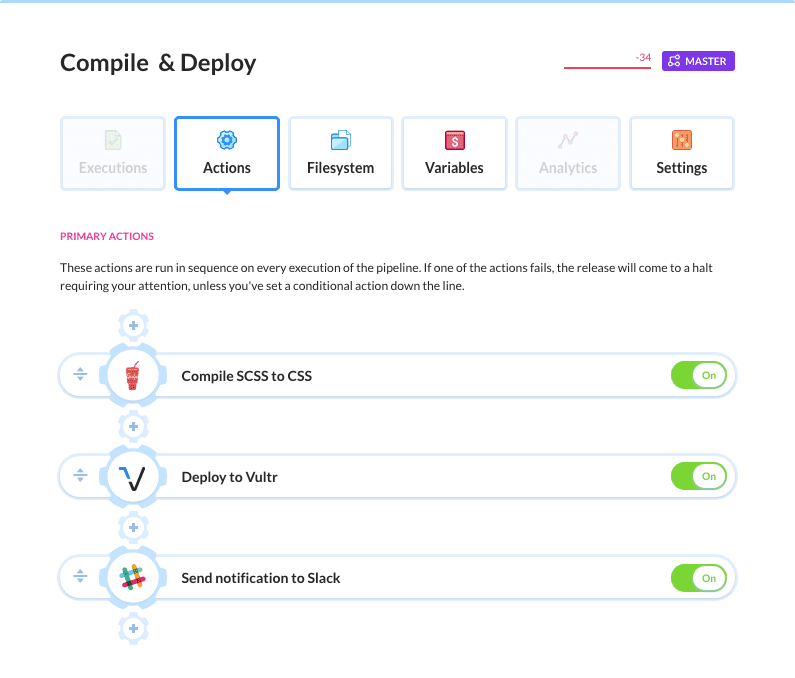 Spanning 15 datacentres across the globe, Vultr provides developers with one-click apps allowing you to launch WordPress blogs, development environments and game servers with a single click – just like running deployments from Buddy. TIP: Click here for best practices on building and deploying front-end applications.